So, how is TOPS going to help me lose weight? TOPS can help you reach your weight-loss goals by providing you with the tools, information, support, and accountability you need to be successful. After all, this has been a winning formula for TOPS members just like you for nearly 70 years. TOPS doesn't sell foods, endorse products, or push a one-size fits all meal plan. 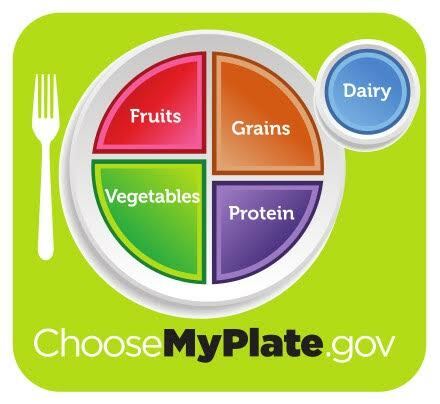 TOPS does endorse the Food Exchange and the MyPlate food plans, but you can choose any program that suits your needs. On the TOPS meal plan, we encourage you to choose foods you enjoy in moderation, journal and exercize. The flexible guidelines help you control calories while eating real food that you make at home or order in a restaurant. Dues are $5 paid monthly with an annual membership fee of $32. We meet every Wednesday at 3:30 PM - 4:00 PM for a weigh in, followed by the meeting from 4:00 PM - 4:45 PM (Generally in room "D" at Chota Rec Center). More information can be found on the TOPS Inc. Web Page by clicking here.